With C2 v4.5, we’ve added two new connectors that further expand the breadth of technologies IT organizations can manage from a single-pane-of glass. Google Compute Engine support gives administrators the ability to seamlessly offer end users controlled access to yet another public cloud provider. This includes the ability to install and manage applications from a supported configuration manager, as well as the ability to include GCE instances in C2 Service Catalog service templates. C2 v4.5 includes support for Google Compute Engine in the Google Cloud Platform. 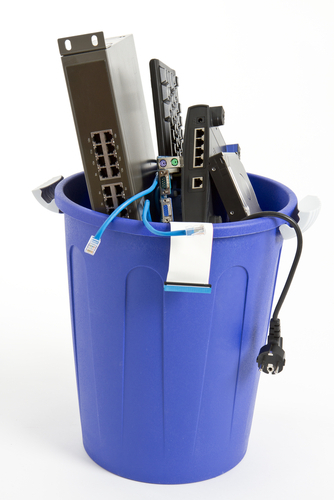 We’ve also totally re-written and re-based our OpenStack connector. In this update, we’ve focused on compatibility, and we’re now able to support Icehouse, Havana, and Grizzly from the major OpenStack providers such as Mirantis. Of course, C2 can include OpenStack-backed resources when provisioning applications, running external flows, and accounting for licenses, just to name a few. C2 is already the best dashboard for OpenStack, and it’s getting even better with each release. No Horizon development needed! We’ve also made some additional updates to our vCenter connector, including improved error handling when your VMware tools are out of date, and allowing for longer Windows hostnames. We’ve also made the Windows disk extending messages more clear and straightforward. Amazon Web Services has also received some developer love. C2 now synchronizes both the public and private IP addresses for each AWS EC2 instance. We worked closely with the engineering team at Puppet, and now have a unique capability: C2 can now discover and import classes from a Puppet server. Chef integration is even better: C2 now enables Chef bootstrapping on Windows and Ubuntu Linux systems. Updates to the C2 UI are perhaps more subtle, but focused on helping users and administrators more effectively manage large numbers of applications and servers. We’ve integrated simple indicators describing the total number of selected items in each data table, making it much easier to manage large environments. Did you know that you can use C2 to open network-less console connections on C2-managed servers? We’ve made this feature faster and more reliable in C2 v4.5. Upgrading C2 is just like any other feature in C2: fast, easy, and predictable. Upgrading to C2 v4.5 is now even faster and easier than before. Sounds Great, I Want It! CloudBolt C2 has been recognized by Gartner for our industry-leading time to value. We effectively eliminate the barrier to entry for enterprise Cloud Management. C2 v4.5 is available today. Request a download, and you'll be up and running in your own environment in no time. Customers are speaking, and we’re listening. 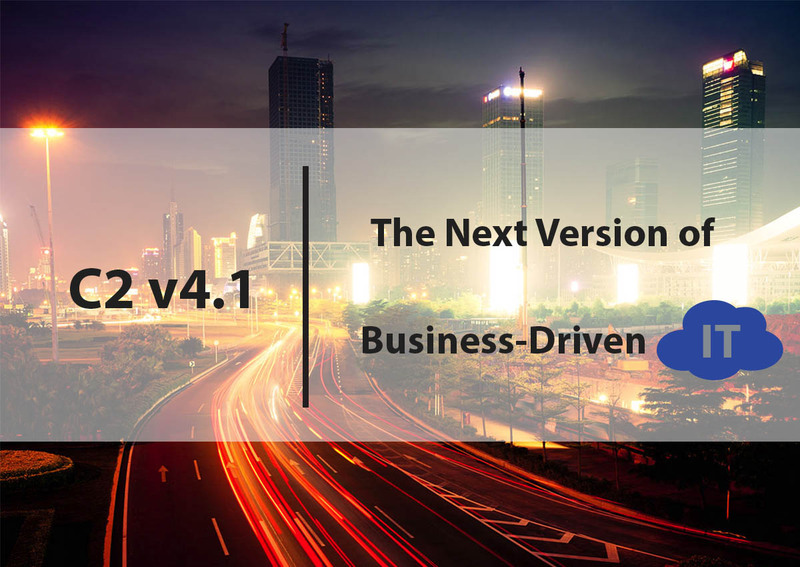 C2 v4.1 contains a host of customer-suggested enhancements that are designed to enhance the capability and usability of C2’s management of a wide variety of IT resources. In C2 4.1, the AWS connector now has the ability to detect, manage, and deploy systems into VPCs. 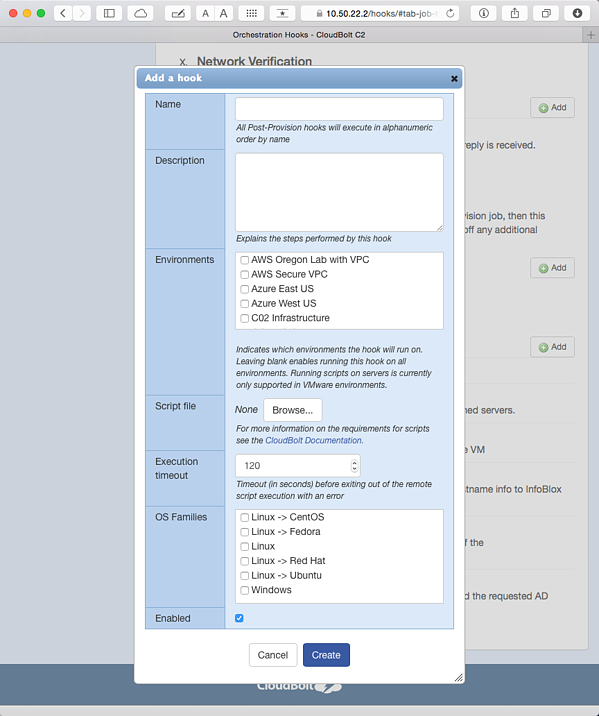 C2 Environments backended by the AWS connector will now discover VPCs, VPC subnets, and other VPC-specific options such as security groups. C2 will also now auto-create C2 Environments for each selected VPC/Region, which nearly eliminates additional setup and configurations required. As we showed with our latest AWS updates, we’re always on the lookout for additional features to add to existing connectors. In this release, we’ve improved our VMware integration by adding more in-depth automatic C2 Environment creation for each VMware-hosted cluster present in vCenter. C2 will also now auto-discover any resource pool or datastore options as configured in vCenter, and will automatically create and map those options to C2 fields. Once AWS and VMware environments are created, C2 can now auto-detect and re-import changes to the underlying configuration of those environments. This includes things like VMware datastores, resource pools, and AWS security groups. We now include the full CloudBolt C2 product documentation as part of the install. The bottom of every page contains a link to access the embedded product documentation. Despite our class-leading interface—recognized as the most intuitive available in a Cloud Manager, we’re always working to improve the user experience and keep it at the top. In C2 4.1, we’ve worked to get the rust out of many parts of the interface—so it will be faster than ever—especially on the server list page for environments that have thousands of servers. We’ve also polished the interface in several areas to help with usability. We already talk to Puppet Configuration Management, and now we speak that language even better with a updated Puppet connector in C2 4.1. We’re the only Cloud manager that can use itself to test your critical provisioning workflows. Configuring the Cloud Supply Chain Validator (CSCV) capability in C2 4.1 is now fully managed in the C2 UI, rather than requiring a configuration file modification. For Red Hat Enterprise Virtualization Manager (RHEV-M), C2 will now automatically import the RHEV-M API certificate. On behalf of the entire team here at CloudBolt, I’m excited to announce the release of CloudBolt C2 version 3.7.0. We continue to pull out all of the development stops in CloudBolt C2. This latest version adds numerous improvements, and new features to help reduce the burden of IT and cloud management. Amazon Web Services (AWS) support continues to strengthen. Now, CloudBolt C2 will auto-create region-specific environments based on administrator-selected regions for EC2. C2 will also list out the various AMIs admins want to make accessible to their users. The best part is that this will work for any EC2-provided AMI, as well as customer-specific AMIs. C2 also now provides for richer discover of running instances in EC2, so the server list and individual server views in C2 contain even more information about the related EC2 instance. Keep your eyes peeled, because we’re going to continue adding capabilities to the AWS connector. We believe that Network Virtualization from folks like Nicira by VMware will drastically change how IT organizations manage enterprises. Our engineers have now enabled Network Virtualization support in the KVM connector, meaning administrators can now create and deploy virtualized networks on KVM-backed hosts using CloudBolt C2. One powerful aspect of CloudBolt C2 is that is it’s ability to apply actions to systems cross-environment. Part of what was needed here was a multi-select capability that allowed users to multi-select where it makes sense to do so. C2 now supports multi-select in the appropriate dialog boxes. Provisioning instances is what CloudBolt C2 was built to do. When a user has no knowledge of what’s going on behind the scenes, it’s good practice to at least let them know that something is happening. With 3.7.0, C2 does a better job showing users the provisioning progress of their instance. We're keeping busy over here at CloudBolt. To prove it, our engineers have released C2 v3.6.1 with a bounty of new capabilities. 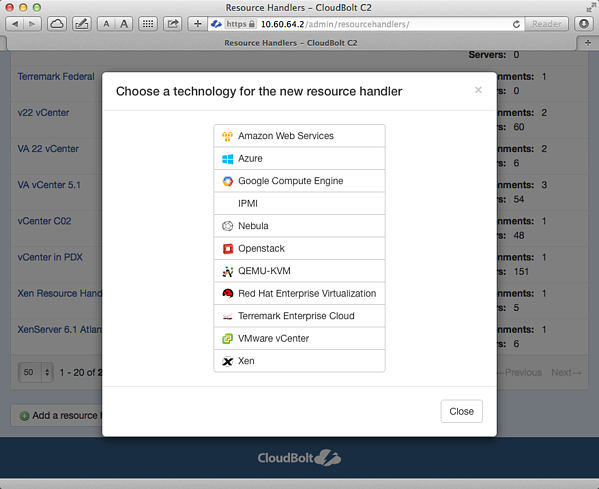 Amazon Web Services (AWS for the acronym-inclined) support continues to get better and better in C2. We understand that many users will want to import the existing state of an AWS account, so now C2 will import a list of all the running virtual instances in a customer's AWS accounts. Happy that you're able to provision servers quicker than ever? Want to brag about it? C2 now presents users that ability to post a Facebook message bragging about how well your IT environment is run after they provsion a virtual machine using CloudBolt. Of course, administrators can toggle that feature on and off as needed/required. What happens when something goes wrong with a VM deployment? v3.6.1 now gives you more information on the status of an order, and will tell you more about errors from the underlying virtualization or configuration management. While we'd love to say that bugs never happen, the fact is that all software has bugs. We grabbed our fly swatter and fixed a handful of issues in this release, including UI rendering fixes for Internet Explorer, situations where the remote console feature failed, and some corrected verbiage in various status messages. Ready to upgrade? Hit up our support portal (login required) for details. Want to kick the tires? Request a download now!